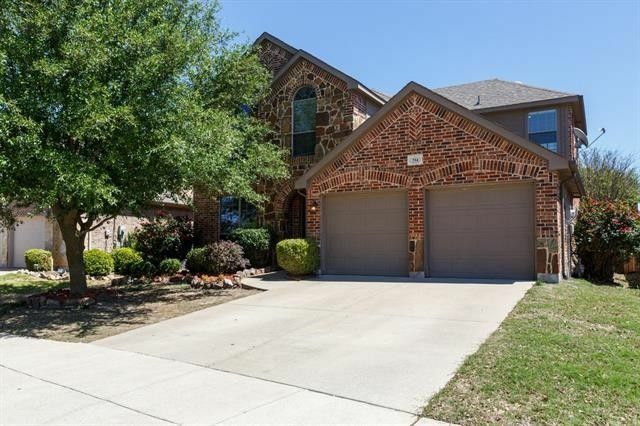 Wonderful home with an open floor plan on a cul-de-sac in Rockwall ISD! Family Room features a corner stone fireplace with gas logs. Island Kitchen offers an abundance of cabinetry, granite counters, gas range and sunny Breakfast Nook. Formal Dining Room would make a perfect Study. Secluded Master Suite boasts a sitting area and luxurious bath with dual sinks, garden tub and separate shower. There is even a convenient Powder Bath for your guests. Upstairs includes a spacious Game Room, true Media Room and 3 secondary bedrooms. Outdoor entertaining paradise has a hot tub, covered patio, extended patio and storage shed. Woodcreek's amenities: pool, splash park, clubhouse, dog park, playgrounds and ponds! Directions: From Dallas: I-30 East, John King exit North (FM-3549 is closed for overpass construction), Right on SH-66 (Williams), Left on Ben Payne, Right on Lafayette, Right on Collins. From the East: North on FM-551, Left on Fate Main, Left on SH-66, Right on Ben Payne, Right on Lafayette, Right on Collins.